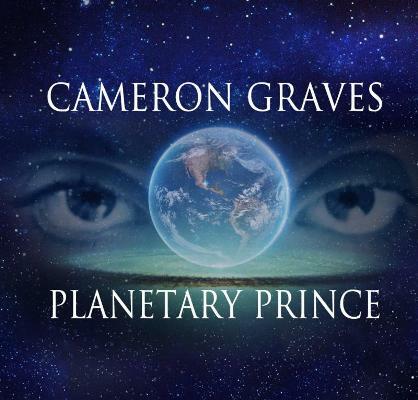 Cameron Graves | Planetary Prince - TheUrbanMusicScene.com | Music Reviews! Cameron Graves is the lead piano man of the current west coast jazz revolution that has already launched luminaries such as saxophonist Kamasi Washington and Bruner brothers Ronald (drummer) and Stephen “Thundercat” (bass). All three of those cats and more are present here, showing out in chops-heavy style on Graves’ 4-song EP, Planetary Prince. This is not music for the meek. It’s aggressive, dense, pounding, wailing and 100-yard-dashing material meant to skin heads and drop jaws. It’s a largely acoustic brew that somehow picks up at some galactic junction where fusion and avant-garde jazz left off and the Hip Hop and YouTube generations picked it up. The ride begins with a majestic classical-jazz march through the title track “Planetary Prince.” Next, the lovely 6/8 ballad “Andromeda,” begins softly but swiftly builds in intensity on Cameron’s solo, floats back to earth for a fretless bass solo from Thundercat, further increases in temperature as the horns return for an ascending repeated line that caps with a flurry of a solo from drummer Bruner. “Isle of Love” follows a similar pattern of a lilting theme being lifted to Mars and back (this time with a McCoy Tyner-esque solo piano finale). And the closer “Adam & Eve” truly reveals Graves’ classical training with a rapturous extended solo introduction that seems to quote Rachmaninoff and Nat King Cole’s “When I Fall in Love” all at once (Eden, I suppose) before a funky backbeat shuffle signals a dizzying/slithering horn-led march for the serpent that stole paradise in a single bite (just my interpretation). In essence, in spite of recurring titles and themes of love, ain’t nothin’ “smooth” about this music. Unrelenting in passion and attack, it sounds made by musicians that have little time for foreplay. They go in as if to leave a flag on a new planet – Art Ensemble of Los Angeles style. I saw Cameron leading a quintet of young musicians not on the recording playing much of this same material and the intensity was identical. With Captain Cameron, always be prepared to strap-in.